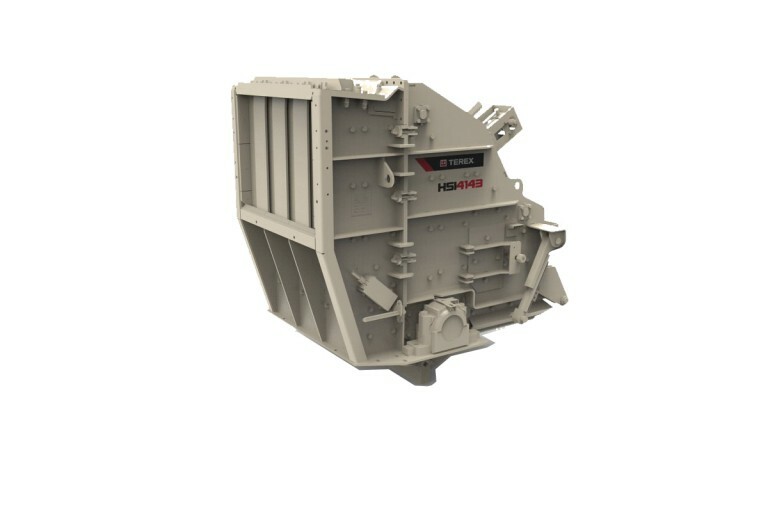 With its hydraulic assist apron adjustment for quick setting changes, the TI4143 horizontal shaft impactor is a highly cost effective crusher that is easy to operate and easy to maintain. There are four inspection doors plus a hinged side door for inspection access to the rotor, blowbars and aprons. The chamber hydraulically opens for general maintenance and for turning or replacing the blowbars. The quick-release wedge-lock system makes changing blowbars a breeze. An optional blowbar jib crane is available for added flexibility and convenience.